TGIF!!! 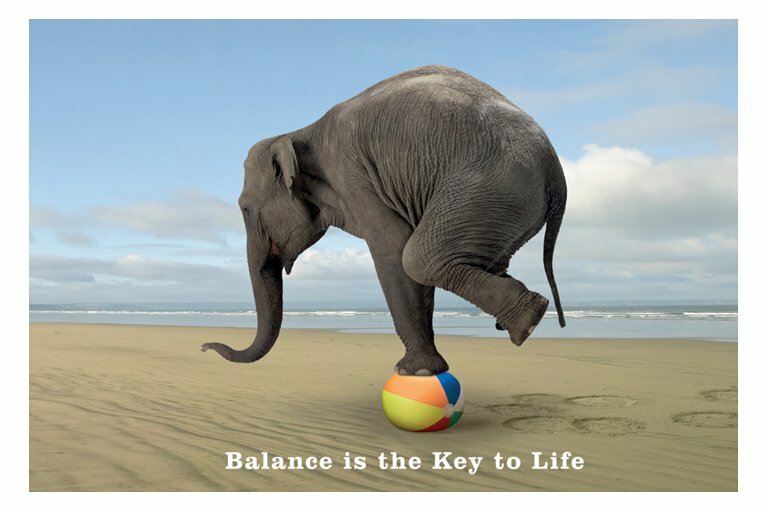 Another weekend and another attempt to find balance in our lives. It can’t just be me right? I found an article on Entrepreneur.com called “8 Things My Dad Taught Me about Entrepreneurship” but as always, I added my cometary. 1. Quit complaining. How many times have we complained about “no bookings” “no recruits” or just business not being what we “thought” it would be? Complaining solves absolutely nothing. Believe it or not, this sets the tone for how things are going to go, opening the door for Negative Nellie and Doubtful Debbie. Hit that “PAUSE” button when you hear a complaint coming out of your month and change it to something productive. 2. Appreciate what you have. Are you content or do you appreciate what you have? For a long time, I thought that these were the same. When I say “I am content”, I actually get complacent and stop reaching for my goals. When I appreciate what I have, I have gratitude but still am willing to strive to reach my goal. Which are you? 3. Frame and control your message. Can you turn negative concerns into positive attributes almost magically? If you can, chances are your hostess, party guests and customers LOVE you. When I take the focus off of my needs (sales, bookings, recruits) and focus on someone else, I can change a negative into a positive. 4. Make time for those you love. Okay, so this is where the balance starts to come in. It has taken some retraining of this workaholic but I am learning that there will always be time for work. I often struggle with this thinking that if I can’t spend hours with someone then it isn’t worth it. The truth is, quality time and not quantity time can be just as good. The point is that you need to make the time! 5. Give more than you take. Yup, this one I have down pat. I love to help everyone, often at the expense of my business. There, I said it. The devil loves to create an internal battle for me though. Am I giving it away which de-values what I do or is it truly a random act of kindness? Finding the balance for me is tough and always has been. 6. Wake up early. Thankfully, I work better in the early AM. The problem is that most of my customers are not up that early in the AM. If you are a mom, you know all about this one. These are probably the only quiet hours that you will have in a day. I find that if I get things done in the morning, I have afternoons free to spend with family and friends. 7. Nurture close relationships. I don’t have a great number of friends but I have a few that have been around for a long time. What about you, do you take your closest colleagues or best friends for granted? They require just as much attention and respect as your family. 8. Watch your cholesterol and your mind. I would rephrase this to “maintain a healthy diet and stay active“. I have found that as a mom (or a business owner), we tend to take care of everyone else and seldom find time to take care of ourselves. Not good for finding balance in our work and business life. Take a 10 minute break during the day for a walk outside, or a power nap or just to clear your hear and gain new perspective. We are a little over half way through January and already I am doubting my ability to check off my achievement list (my word for goals). Am I the only one? Have you already broke your New Year’s Resolution? Have you already got caught up in the crazy pace of life and forgot about your plan, your goals, or your vision? The average employee spends 13 hours each week on email. That, plus endless lists of to-do items, hours of seemingly pointless meetings and unexpected interruptions creates noise that prevents productivity, inhibits creativity and gets between you and the day you hoped you’d have. 1. Define success. Only you know what will make you feel fulfilled. Write it down and refer work toward it every day. 2. Visualize that success. Work for that future you and don’t hold that person back with your own pessimism. I was blessed to be on a coaching call with some Thirty One sisters the other night when I could visualize and even feel the emotion that went into my promotion to Director. That helped me to release the limits on my perception of success so that I could dream (and work) for the next level – Senior Director. 3. Forget entitlement. Don’t expect that what you want will fall into your lap or that you are more deserving than someone else. Focus on the work or expect to miss out on something great. Honestly, I am just the opposite, I always think that I am not deserving of the promotion, the applause or the praise. 4. Think small to think big. You can’t change your ways overnight, so set small, achievable milestones and slowly build momentum toward your goal. Don’t set yourself up to fail by taking on too much too soon. WOW! I guess I better throw away my dream of a magic wand. 5.Consistency is key. Procrastination can quickly turn to panic, kicking your brain into crisis mode. Consistency for me (or most in direct sales) means reaching your personal and team goals ever month. Planning not procrastinating. 6. Prioritize. Do the most pressing or important item on your to-do lists first. Willpower is often at its highest at the start of the day rather than at the end of it. Monitor yourself to understand when you are the most productive and organize your schedule accordingly. I am most productive BEFORE 9AM and by 12Noon, I am usually done! If I could only figure out the best way to connect with my customers and my team during my most productive hours. 7. Delegate. Learn to let some tasks go and relish in the new perspective you’ll get in return. This has ALWAYS been tough for me even when I was working in the non-profit world. Not because I thought I could do it better just because as a care-giver, I want to take care of the world. Definitely working on this. 8. Find collaborators. To make these steps stick, enlist likeminded friends, colleagues and family members who will hold you accountable, celebrate your achievements and share their insights. Support can come from the unlikeliest of sources. Just make sure you’re open to the possibilities. I am blessed with an AWESOME-sauce group of Thirty One sisters. Do you struggle with this because you are afraid of people seeing your weaknesses? 9. Stay motivated. To keep engaged and weather any setbacks, make yourself a “motivational manual.” I LOVE doing this for my friends, my customers and my team – I just wish that I could head my own advise sometimes. 10. Take stock and try again tomorrow. If you feel like you have too many plates in the air, stop and just focus on one at a time. Try spending time on one project every day and see how much you accomplish. So which one of these are you ready to work on? Share it with us…. Social media – love or hate it? Today is one of the days when I think I hate it. I miss the days of talking to people on the phone, connecting at vendor events or even just meeting up with people for a cup of coffee. I know, why don’t I still do that, right? Well, I try but have you found since social media has become all of the rage – people don’t look up from their phones. The articles put out by business magazines talking about providing good customer service via social media don’t help. Okay, I get that there are a lot of people who build relationships for their business via social media. I get that you reach people who maybe you might not have met in the past. Does can it really replace the phone and face to face communication? 1. The customer’s needs are a priority. According to the experts, social media enables you to gauge what your audiences are saying about you and your brands. But do I really have time to spend hours on social media, looking for what people are saying? Is there an easy way to do that? I sometimes feel like I have lost communication with my customers. Loyal customers are making a purchase because they need your product to fulfill a purpose, whether it may be a function or an emotional need from using the product or service. Communicating regularly with customers can help provide greater opportunities for engagement. I get fulfilling their needs but sometimes it would be so much easier in a 5 minute conversation instead of days of messaging back and forth. 2. Connect with your customers. Take time to engage with customers to hear their needs and ask questions. Concentrate on what they are really saying. Don’t just answer quickly — give attention to the words, tone of voice, and most importantly, how he/she may feel. Provide an opportunity to connect in another medium such as email or phone to bring the connection to a more personal level. I like this one!!! The question is will they respond to another medium?? 3. Be helpful. Even if there’s no immediate profit in it, continuing to support your loyal customers further builds that relationship. Make customers feel important and appreciated. Treat them as individuals. Always be courteous and grateful. This is the part that I LOVE even if it doesn’t mean that I get a sale. I am a “helper”, a resource person and I LOVE just doing for others. In the BIG picture, it all comes back to us. 4. Be reliable. This is one of the keys to any good relationship, and good customer service is no exception. Look for ways to make doing business with you easy. Always do what you say you are going to do. That is what my “personal shopping experience” is all about – meeting people where they are to solve their immediate problem. 5. Take the extra step. We call it “pink glove service”. I am always looking for ways to elevate myself above the competition and go the extra mile to ensure an ongoing commitment. 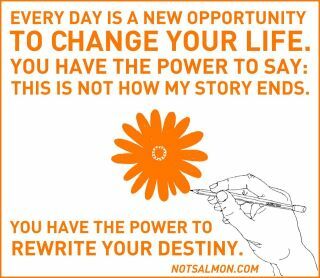 So what does it all come down to…. Always give your customers your time, within reason. Find ways to give back in ways that your competitors do not. I am still looking for a system that works for me… I want to go back to “old school” where you pick up the phone, send snail mail – the things that most people don’t do anymore. I mean who doesn’t love happy mail or just a friendly message on their voice mail. Happy Monday!!!! It has been a busy week since Belinda arrived home on Wednesday with 3 friends from North Carolina. As crazy as it has been, I love having kids in the house again – YES, I am that crazy momma that wants all of the kids at the house. I just realized that TODAY is Day 500 of blogging. WOW! Who would have thought a simple challenge would still be going on. When I tell people that I blog, the first question that they ask is “what do you write about” and the next one is “who reads it”. Well, on most days, the writing part is easy because I LOVE to write and share all of the tidbits of information that are in my brain. The second, I really can’t answer because I don’t know. No, I don’t check my dashboard on a desperate hunt to see who has read my blog. I really don’t want to know because I am afraid that if I do see the numbers, I might get discouraged. I will say that the only that that I really tweet is my blog and some random posts so when I see new people following me, I am guessing it is because of my blog…this is a good thing. 1. The article needs a point. I typically have a point, I know that some may disagree but I try to share things I have learned that may help others in their business. Usually, I am motivated by something that has happened personally or something that I have read or learned at a training. I try to use key words that will draw people to my blog as well as want to continue to read it. 3. Structure. In order to communicate a concept, you need to organize your thoughts. Otherwise, you’re going to have a scattered assembly of sentences and statements. Okay, so this is definitely NOT one of my strong points. I mean, I try to stay on topic but feel that I would rather share then sound like a term paper. 4. Unique content. You need to have a unique angle, approach, or spin. Second, you need unique content. You hopefully wouldn’t copy and paste content from another site onto your own. I am not sure about this… I really like adding information from other bloggers and from articles then sharing my perspective on things. 5. Substantial length. I remember being told that 600 words was a good length. I mean it shouldn’t be a book, right? I found it odd that the recommendation from this article was 1,000 – 1,500 words. 6. Internal linking. I love doing this, linking to my own as well as others web sites. Hopefully, the links are things that people are interested in. The recommendation is 3 – 10 links per post. WOW! Maybe I need to rethink how many I have each day. 7. Attention to proper spelling and grammar. This seems like a no brainer. I mean who would want to read an article that is full of typos or grammar errors? I will admit, it happens sometimes, I mean we are human, right? 8. A call to action. The call to action is the magic ingredient that makes a blog post worth it all. Every post needs a call to action. The reader is ready to respond, to do, to click, to engage. So, what other must-have blog tips would you suggest? Are you ready to start blogging yet?? ?